Hello Girls! 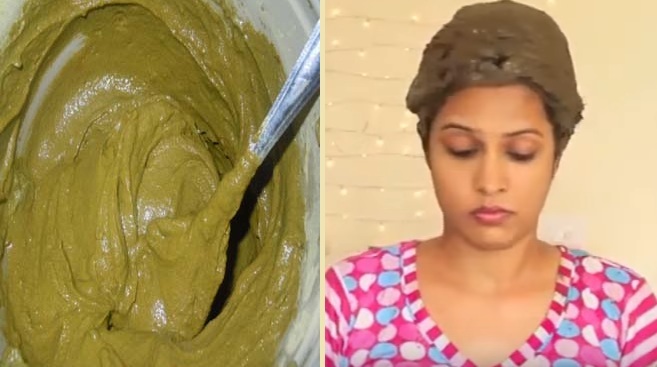 Here are the easy steps to apply henna (mehendi) on your hair. Sometimes henna could be dry your hair so milk is added to help prevent dryness on your hair. Add all ingredients in iron pot and mix them well. Add 2 - 3 tbsp of water in this mixture and leave the mixture at least 4 - 5 hours. After 4 - 5 hours, mix it again to make a thick consistency paste. First you divide your hair in 2 parts and brush your hair to remove all tangles. Now apply henna paste on first section of your crown area. Wrap it around a bun. Now take small section one by one and apply henna as before and wrap it again around bun until you complete application of henna on your full hair. 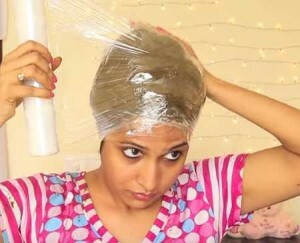 Now cover your hair using plastic wrap. Leave it for 2 hours before wash your hair. 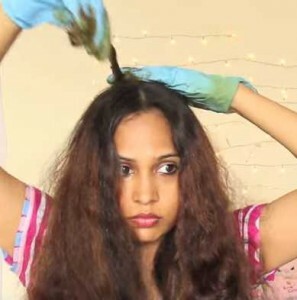 After half an hour, apply oil and wash your hair with shampoo.